BATON ROUGE, La. – Lieutenant Governor Billy Nungesser met with Consul General James W. Herman in Frankfurt, Germany, this week to discuss travel between Germany and Louisiana, ensuring Condor’s direct flight’s success and the influence of German culture on Louisiana. The meeting is a part of a mission Lieutenant Governor Nungesser is leading, along with the Louisiana Office of Tourism and 17 tourism industry partners, to Germany and the United Kingdom to promote international travel and the recent expansion of direct flights to New Orleans. “Germany has influenced our food, industries, and people for hundreds of years with parts of Louisiana earning the nickname, The German Coast. The Consul General and I discussed ways of increasing the awareness of this influence to increase travel between Louisiana and Germany that can benefit both of our regions,” said Lieutenant Governor Nungesser. Following the delegation’s time in Germany promoting the state in Frankfurt, Hamburg, and Hannover, the group will arrive in London on Friday, September 29. On Sunday, October 1, the Lieutenant Governor and the Office of Tourism, in collaboration with the New Orleans Convention and Visitors Bureau and Travel & Tourism Marketing and our representatives in London, will host a group of travel agents, tour operators, and travel writers prior to kickoff of the New Orleans Saints’ game in Wembly Stadium. The pre-game festivities will include authentic Cajun and Creole dishes complete with all the touches of Louisiana. On Monday, October 2, Lieutenant Governor Nungesser will be a guest on 12 radio shows in London, promoting the British Airways increase in direct service to New Orleans, regional connections to Lafayette, Baton Rouge and Shreveport, and the authentic experiences for visitors to these cities and Louisiana. Additionally, the delegation will have the opportunity that day to meet with travel agents, tour operators, travel writers, and bloggers in a media marketplace format. “With the expansion of the British Airways direct flights to five times a week coming up and a successful first season of Condor Airlines direct flights, now is the best time to re-ignite that spark of interest in international travel to Louisiana,” said Assistant Secretary Kyle Edmiston. 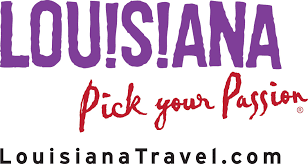 “The goal is to utilize these opportunities to talk one-on-one to see our international visitation numbers continue to rise as we market Louisiana as an exciting destination for international visitors to experience and explore.